English has a pre-eminent place in education and in society. A high-quality education in English will teach pupils to speak and write fluently so that they can communicate their ideas and emotions to others and through their reading and listening, others can communicate with them. Through reading in particular, pupils have a chance to develop culturally, emotionally, intellectually, socially and spiritually. Literature, especially, plays a key role in such development. Reading also enables pupils to acquire knowledge and to build on what they already know. All the skills of language are essential to participating fully as a member of society. On Tuesday the 2nd of October, four Y6 pupils attended an Able Writer's Day at Bearwood Primary School with Mrs Hancock. The children spent an enjoyable and rewarding day working with one of the UK's leading children's poets, Kate Williams. She took the children outside into a wooded area where they spent time thinking, listening and feeling the changes that autumn brings. Upon returning to the classroom, Ms Williams encouraged the children to examine leaves and other items and then to write about them. Poems were written about forests, leaves, and fireworks and the children were able to read their work out loud for all to enjoy. Please find below a poem about Leaves by Sophie in Kestrel Class and a poem about a forest by Molly in Merlin class. Mice and deer scampering across the forest floor. Decorate with a sprinkle of stars a midnight. Leave to set at the witching hour. English is the most important life-skill that we can teach the children at Lytchett Matravers Primary School and is often the ‘keystone’ for other areas of learning. English develops children’s ability to communicate in spoken and written form. Through developing their knowledge, skills and understanding in English, children learn to appreciate that communication in all forms contributes to their wider understanding of the world in which they live. The New English curriculum provides breadth and balance, is relevant and engaging and is differentiated to match needs and abilities. We all know that there is nothing better than a great book and nothing worse than a bad one! As teachers of young children it is our job to instil both a love of literature in various forms as well as the skills with which to read. Our English curriculum is often centred around core texts, from which we plan learning term by term. Coupled with a topic focus, we aim to immerse children in connected learning for several sessions before moving on, allowing them to deepen their understanding of the knowledge and skills involved. We have recently introduced Reading Vipers, where we focus on specific comprehension questions, to ensure children have a firm understanding of the texts they read. 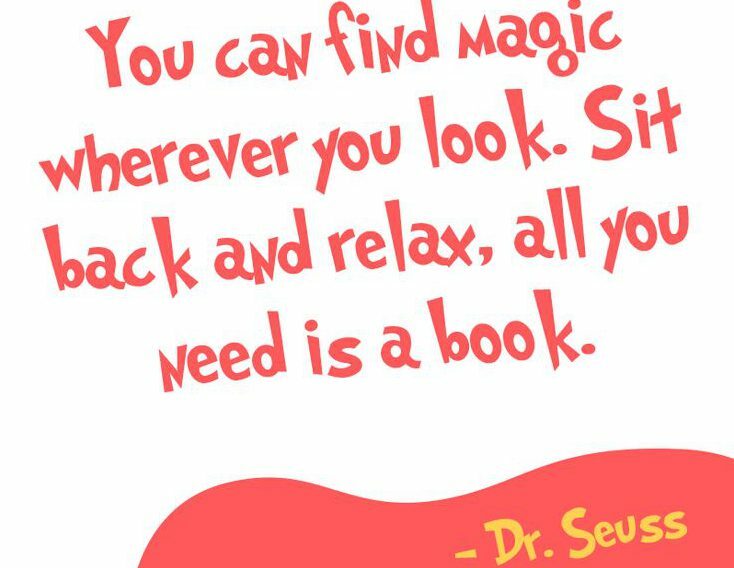 At Lytchett Matravers, we want our children to become enthusiastic, engaged readers and to develop a life-long love of books. We introduce the children to a range of good quality fiction, non-fiction and poetry books through our whole-class guided reading, small group guided and shared reading sessions. In the early stages of reading, we teach children to decode words using phonic skills as their main approach, alongside which we teach sight vocabulary. Once grasped, the focus for developing reading is on understanding and comprehension. Your child will read with their class teacher once a week during their guided reading session, then independently supported by teacher set activities during the rest of the week. Here at Lytchett Matravers-we follow the progressive phonics scheme, Read Write Inc (RWInc). Developing readers will bring home, either a RWIncbook or a levelled books (according to their stage of development). Independent readers will bring home a self-selected book from our supplementary books, or are able to read their own text from home or the library. Please encourage your child to change their book regularly so they can read each evening; speak to your child's class teacher if you believe this is not happening. We recommend that your child read at home for 15 minutes or more each day. Your support is hugely important for developing their reading skills, confidence and understanding. Even if your child is an independent reader, it is still important for you to read with them, listen to them and discuss the books they are reading. Please fill in your child's reading log, so that the class teacher can see what your child is reading at home. Reading logs should be collected weekly. Try to listen to and read with your child regularly, 10 minutes a day is better than a longer session once a week. It can help if a regular time is set aside so that it becomes part of a routine. Find a quiet place to share books where you can feel comfortable and relaxed – learning to read needs to be a positive experience - build their confidence by praising their efforts. Encourage your child to have a go at reading words, by using phonic skills to read any unfamiliar words, and by working on building up their sight vocabulary. Talk about the meanings of words to help to develop your child’s understanding and use of language. Encourage your child to read a range of texts such as stories, newspapers, comics, labels, poetry, non-fiction, tickets, signs, leaflets etc. Read books to your child as well; if they see you enjoying a book it will encourage and motivate them to want to learn to read. Ask them questions about the text to develop their understanding. Where/when does the story take place? What happens in this part of the story? Tell me one/two things that the main character does in this part of the story? Can you retell the story using your own words? Tell me what this character was like? Tell me the most interesting/ exciting/ funniest/ your favourite part of the story? Why? What do you think the character feels about...? How can you tell? What do you think would have happened if…? Which part of this book did you like best/least? Why? How has the author used words/phrases to make this character funny/ sad/ clever/ frightening/ excited etc? Why is … a good title for this story/book/chapter/play? Do you know any more stories like this? Tell me how they are alike. Do you know another story with similar characters in? Tell me how they are similar. What do you think this story is trying to tell us? Children in the EYFSbegin to write, first forming the letter shapes while making the phonetic connections to the letter sounds through the RWIncscheme. They then gradually progress through the journey of writing to joining the cursive script into fully joined words in Year 2. The cursive script formation we use is taken from the Letter-join Scheme. Please see our cursive and capital letter formation sheets below. Learn the conventional ways of forming letter shapes, both lower case and capitals. Understand the importance of clear presentation in order to communicate meaning. Take pride in the presentation of work, developing handwriting with a sense of enjoyment and achievement. Be able to write quickly to aid expressing themselves creatively and imaginatively across the curriculum and for a range of purposes. Develop a fluent, comfortable, legible, joined handwriting style. At Lytchett Matravers, we aim to develop spelling and writing skills throughout every child's time at school, preparing them for their journey to Secondary education. From Year 2, we follow the No Nonsense Spelling Scheme (Babcock Education). This scheme covers the spelling patterns covered across every year group, alongside the statutory spelling lists provided in the English Spelling Curriculum (see sheets below). As well as the phonic strategies of decoding, segmenting and blending, many words still have to be learned as rote, sometimes referred to as common exception words (please see list of words below). As a part of every child's homework, spelling lists are sent home weekly and we encourage parents and carers to help your children to work on these daily (little and often). Here at Lytchett Matravers, we provide the children with a range of writing opportunities- from guided and shared writing to independent extended writing opportunities. The children experience writing a range of genres - both fiction and non-fiction. Writing tasks are often linked to the whole class reading texts or topics, enabling children to write for a range of purposes and audiences. From Year 1, the children have a weekly Big or Little writing session, where we encourage children's independence when producing an extended piece of writing. Children are encouraged to self edit and up-level their writing. This year, we have an exciting 'Wanderful (Wonderful) Wall of Writing' (Magically inspired as a play on words from Harry Potter), where children who produce an inspiring piece of writing can share and celebrate their writing master piece! To access the National Curriculum for English across KS1 and KS2, please click below. Each year group covers the GPS objectives documented in the National Curriculum. We are developing a systematic teaching approach, where the children are taught the specific objective, given the opportunity to practice it, then encouraged to apply it during writing tasks. We feel that providing the children with these different learning approaches, not only widens their GPS knowledge, but also equips them with the confidence to apply these skills in their writing. On Wednesday 2ndMay 2018, I ran a workshop for parents to discuss the grammar, punctuation and spelling elements of the National Curriculum 2014. The documents below contain lots of useful information from the meeting regarding the new expectations for each year group. They also provide an overview of the grammar, punctuation and spelling coverage across the year group. I have also provided a comprehensive list of all the expected spellings taught in every year group and included the Power Point Presentation used on the evening. The DfE documents are the glossary of terms for the '2013 Spelling, Punctuation and Grammar. This a useful and comprehensive guide to the spelling, grammar and punctuation terminology. I hope that you will find the information on this page and documents below helpful, as they will give you an insight to our English Curriculum here at Lytchett Matravers Primary School. If you have any further questions, please feel free to to contact me through the school office or via the school office, or email office@lmpsdorset.co.uk FAO: Mrs Shotliff.